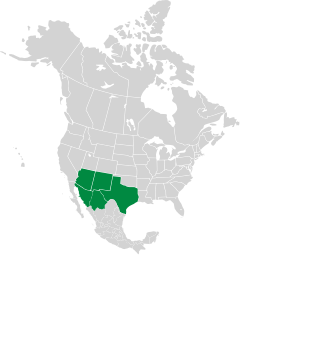 Common sotol is native to southwestern North America. Identification: Mature plants have a thick trunk up to 5' (1.5 m) in height, with a symmetrical, attractive, spherical spray of swordlike leaves on top. The trunk is covered with a protective layer of dead leaves. Sometimes it is erect; sometimes it snakes along the ground. Leaves are light blue-green to gray in color, waxy, 14-43" (35-110 cm) × ⅜-1" (1-3 cm) wide. Leaf edges have strong yellow teeth. 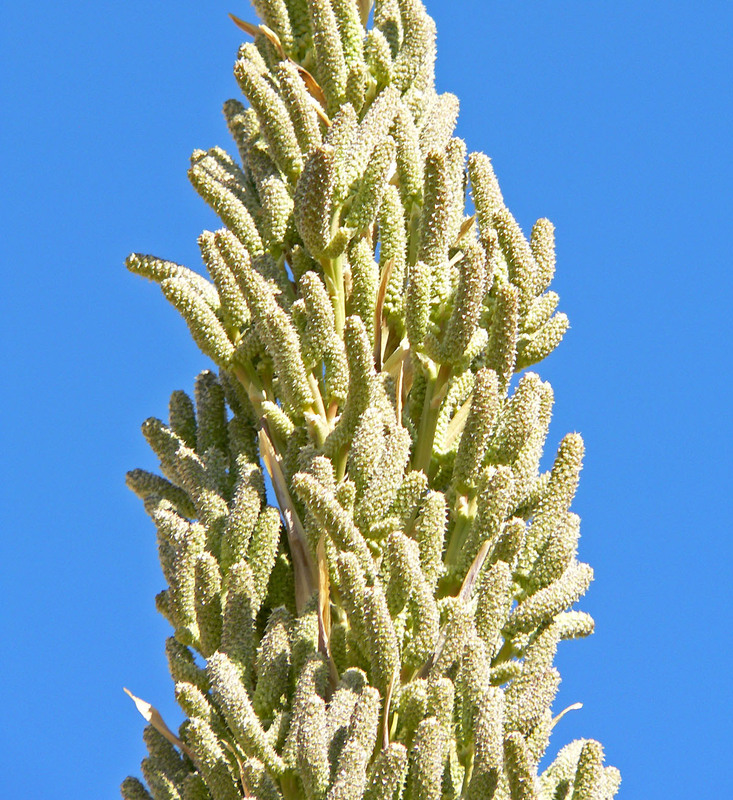 Flower spikes are 9½-20' (3-6 m) in height, with smaller greenish or straw-colored flowerheads that look like fluffy catkins. The individual flowers are very small, about ¹/₁₆" (2 mm). They are white on male plants and purple-pink on females. Flowerhead close-up of Dasylirion wheeleri in cultivation at western edge of Las Vegas, Nevada. By Stan Shebs. 7/27/2005. 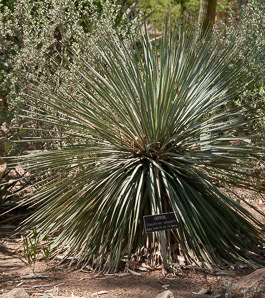 Edibility: Common sotol is not edible, but it is used to create a somewhat tequila-like distilled spirit, also known as sotol. 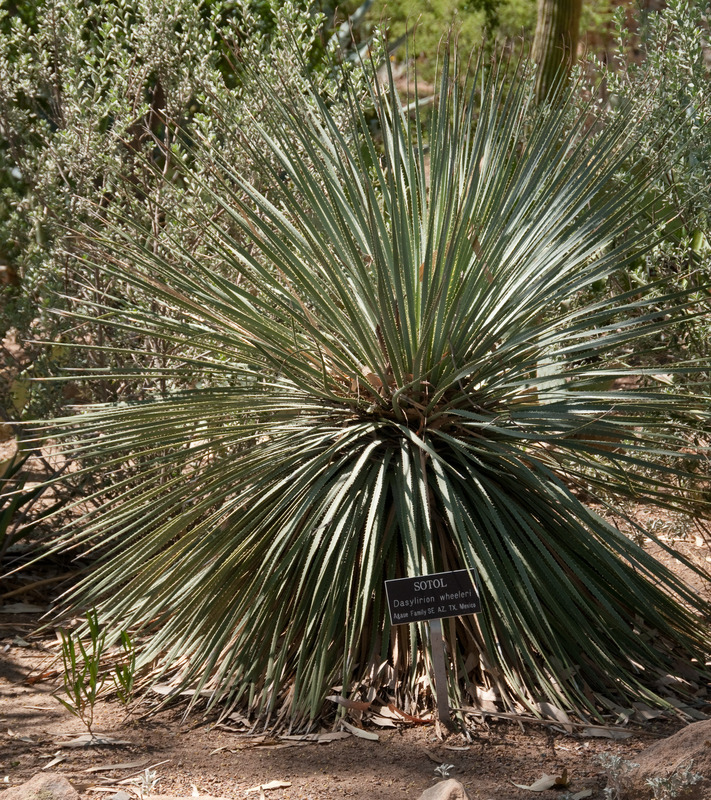 Here is a description of sotol with a distinct marketing spin. Dasylirion wheeleri description by Thomas H. Kent, last updated 12 Oct 2018.